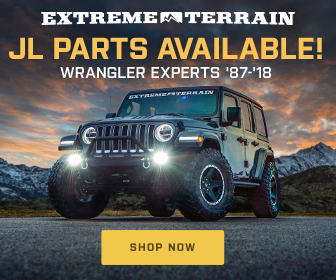 Here’s a wrap-up of some of the newest Jeep parts to hit the market! Enjoy the sun without the worry! The roller shade retracts when you want to let the light in, then clips into place when you want to get some shade. * Keep your seats cool when you hop into your Jeep, then simply retract the roller shade to enjoy the sun. * Attaches to the back of the roll bar and does not obstruct the drivers rear view in the mirror. * Roll out the roller shade halfway on 4-doors to keep the rear passengers in the shade or all the way forward to shade everyone. * You can put your hard top on without retracting the shade. Sprintex Superchargers now 50-State Legal! The real advantage of our Superchargers are their ability to make torque right off idle at low RPM and through the mid range where you really need it for off roading, rock crawling, a heavy vehicle, or just getting off the line quickly. 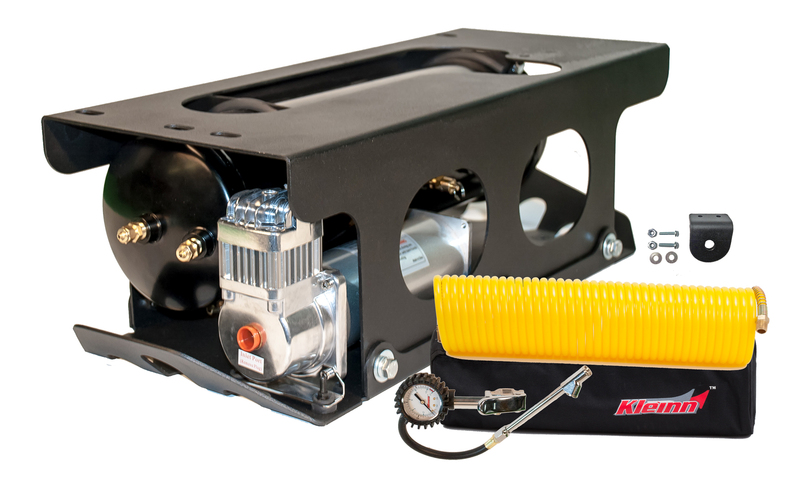 Our system for the 3.6L Wrangler produces 50 Lb/Ft of torque over stock at 1,000 RPM. By 3,500 RPM we produce 100 Lb/Ft of torque over stock. 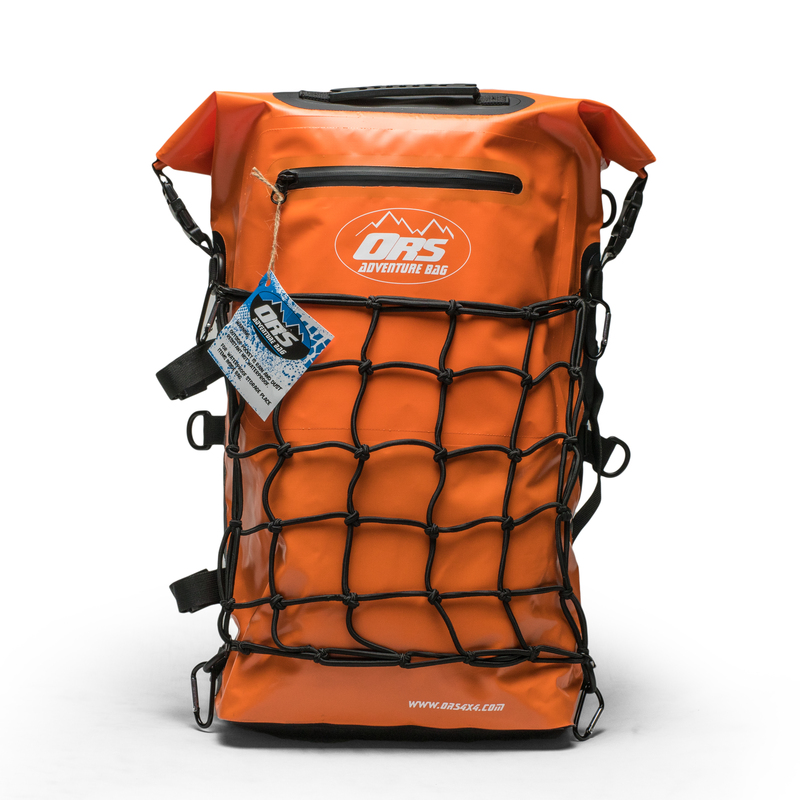 The Off-Road Solutions Adventure Bag starts with sturdy 500D Polyester material and a durable PVC coating. All of the seams for the bag are fully welded for a 100% watertight seal. The main portion of the bag features a waterproof closure,while there’s also a smaller exterior water-resistant pouch for small items. Inside is a second zippered pouch for waterproof and convenient storage of keys, wallets, or any other items that need to be protected from the elements while remaining handy. Securing a bag is an important part of any active sports. The Adventure Bag makes storing and securing easy, with a total of 10 D-rings positioned at strategic locations on the bag. The exterior of the bag has multiple anchor straps for securing additional gear or for attaching the Adventure Bag to a rollcage, seatback, or any other convenient tie-down point in a canoe, kayak, UTV, or bike. There are shoulder straps that can be used in either a vertical or horizontal orientation to convert the Adventure Bag into a convenient backpack. The exterior even includes a bungee net for additional external storage. The JKOBA Onboard Air™ System is a heavy-duty high volume air supply mounted between the frame rails and protected by a steel cage and skid plate with no loss of ground clearance. The 1.66 CFM compressor and 2.8-gallon tank can power air lockers, air tools and quickly inflate 37 inch tires. Kit is 100% bolt-on using common hand tools with no drilling, cutting or welding required. Kit includes a remote quick connect mount and tire inflator with gauge, 30-foot hose and storage bag. Upgrade to a second compressor (P/N JK6450) and air two tires simultaneously. 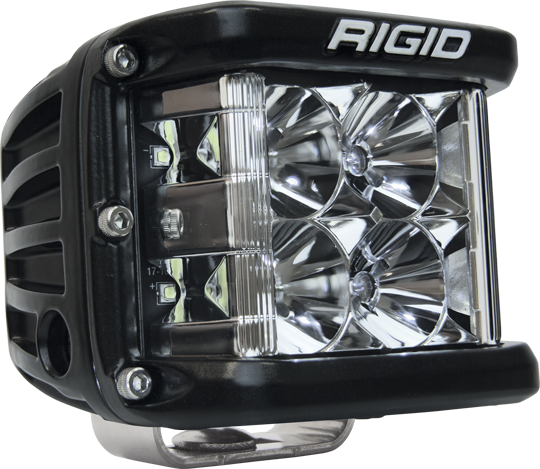 One of RIGID’s most versatile, compact lighting solutions just got better with the D-SS, Dually Side Shooter LED pod. Perfect for any application that requires a wide spread beam, including A-Pillars, Fog Lights, and motorcycle applications. The D-SS pod incorporates the same powerful optics and legendary LED technology as RIGID’s popular D-Series lights but with the added benefit of additional LEDs aimed to the side for a much broader beam. The D-SS fixtures boast up to 120-degrees of horizontal lighting coverage when used in pairs or when used in the single light applications. The main forward-facing LEDs are available with RIGID’s advanced Flood, Spot, or Driving optics, so there’s a D-SS lighting solution for nearly any application. The D-SS LED lights are available in pairs with three side-shooting LEDs on one side of each fixture, or in single applications with a pair of side-shooting LEDs on both sides of the fixture. 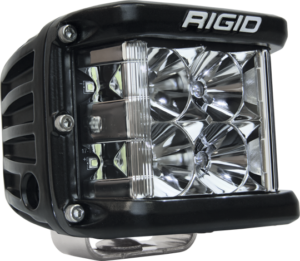 Only RIGID provides a broad, powerful lighting solution in such a compact package. Lens covers are also available in a range of colors. 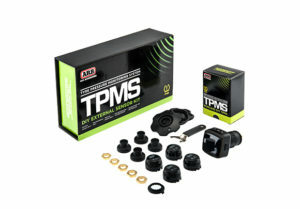 Many new vehicles come with a factory installed tire pressure monitoring system as a safety system allowing drivers to be alerted to a flat tire or puncture. Now, drivers of older vehicles or those without optional OE systems have the opportunity to easily achieve that same peace of mind. An easy to read the display utilizes the vehicle 12V socket, the display includes a 5V/1A USB port that allows for the charging of devices such as mobile phones and GPS units without having to remove the unit from the socket. 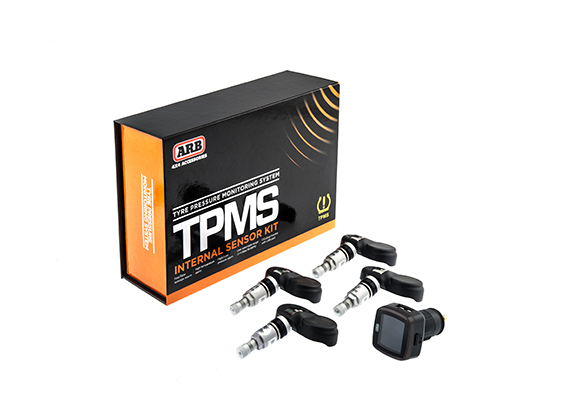 Available as either a DIY external sensor kit, or an internal valve replacement kit, both TPMS units feature a small 12V socket mounted display that is compact and easy to read. Showing tire pressure of all 4 tires in real time, the monitor can quickly detect punctures or excessive temperature, giving both a visual and audible warning to alert the driver of possible tire failure. Your only weather resistant option for controlling up to 8 accessories on your JK Jeep! This kit mounts 6 LED switches overhead, using existing mounting holes with. 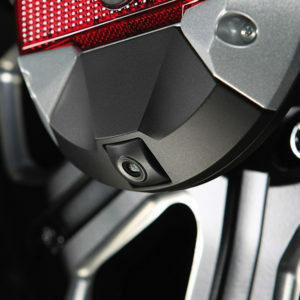 The power center includes a bolt-on bracket to mount under the hood with 200 amps of fused protection. Easily installed with our detailed instructions and plug-n-play design. All high quality TXL output wiring is included, allowing you to avoid the inferior wire provided with some accessories. Control up to 8 accessories, (8) 30 amp fuses and (8) 30 amp relays. Weather resistant housing around the power center and connections. Custom bolt-on powder coated bracket for the power center and switch panel. Switch panel mounts 6 weatherproof LED switches in an overhead location. Alpine Electronics of America, Inc. has expanded its lineup of Jeep Wrangler products with the introduction of the HCE-TCAM1-WRA rear view camera system, which is now shipping. 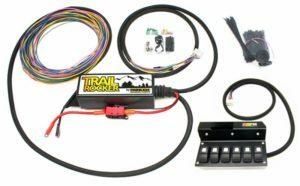 The HCE-TCAM1-WRA is compatible with the 2007-Up Jeep Wrangler JK and is the company’s second camera system developed for a specific vehicle. The 3-in-1 design incorporates a rear view camera, LED third brake light, and LED reverse light in a 7-inch round housing. The housing has a matte black finish with gun metal gray powder coat accents and attaches to the spare tire mount. The third brake light is 2-inches tall and stretches across the middle of the unit. The reverse light is not only helpful when backing up, but also illuminates the camera’s viewing angle in low light situations. A removable rubber cap with a debossed Alpine logo covers the wheel lock in the center of the unit. The HCE-TCAM1-WRA projects a color rear view image onto the in-dash screen. Installation is plug-and-play when used with one of Alpine’s three 9-inch Restyle dash systems for the Jeep Wrangler (X109-WRA, X009-WRA, i109-WRA; all sold separately). The HCE-TCAM1-WRA is also compatible with screens made by other aftermarket manufacturers, or will work with a factory in-dash screen (connection to a factory screen requires dealer programming and a third party adapter, sold separately). The HCE-TCAM1-WRA’s rear view camera is waterproof and dust proof with an IP66 rating (universal standards set for International Protection Marking of products), so it’s ready for off-road challenges like heavy dust and water crossings. The camera is angled to provide visibility for both near and far objects behind the JK.